Who was St David and why is 1st March St David’s Day? Unlike the other British and Irish patron saints, St David was actually Welsh. St Patrick, (17th March) may have been born in the Welsh-speaking Northern Kingdom of Strathclyde, St George (23rd April) is believed to have been a Roman soldier possibly Greek or Turkish, and St Andrew (30th November) was born in Palestine. St David was born around 500AD in Carfai, Pembrokshire. His father was Sandde, the Prince of Powys and his mother was Saint Non. He was reputed to have been nick-named the water drinker as he ate only vegetables and drank only water. He became the Bishop of Menevia in Pembrokshire, which is now called ‘St Davids’ and is known as the ‘Bishop with the Dove’ as he is usually depicted with a dove on his shoulder. This image comes from what is his most well-known miracle. He was preaching to a large number at the Synod of Brefi and the ground where he stood is reputed to have risen up to form a hill on which now stands the village of Llanddewi Brefi. A white dove was seen to settle on his shoulder. St David is thought to have died on a Tuesday, 1st March around 589 AD, although this was later revised to 601 AD. In 1102 Pope Callixtus officially declared him a saint. Whilst St David’s official symbol is the dove, most people today wear a daffodil to commemorate St David’s day, but leeks have also been a long-standing symbol of St David. This is because legend has it that David advised Welsh soldiers to wear leeks in their hats so that they could be distinguished in battle against the Saxons. Welsh Regiments have been known to eat raw leeks on the 1st March! As for daffodils, this flower typifies springtime and Lloyd George always wore a daffodil on St David’s Day and in 1911 he encouraged its use at the investiture of the Prince of Wales. The flower offered a more fragrant alternative to wearing leeks whilst still symbolising a distinctive Welsh identity. 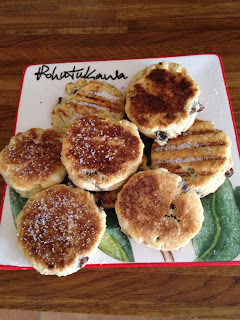 Why not make some Welsh Cakes (Pic ear y maen) for the occasion? 4oz butter (salted and Welsh if you can get it) or 2oz butter and 2oz lard or 4oz margarine is fine too. Sieve the dry ingredients together in a mixing bowl. Rub in the butter (or butter and lard) until the mix resembled breadcrumbs. Add the egg and bind all the ingredients together. Use a little milk if the mix is too dry. Roll out the dough on a floured work surface. It needs to be about as thick as you.r little finger. Cut out the cakes using a 2 inch (5 cm) cutter - you should get around 12-15. Grease a flat griddle pan or heavy frying pan place over a medium heat. 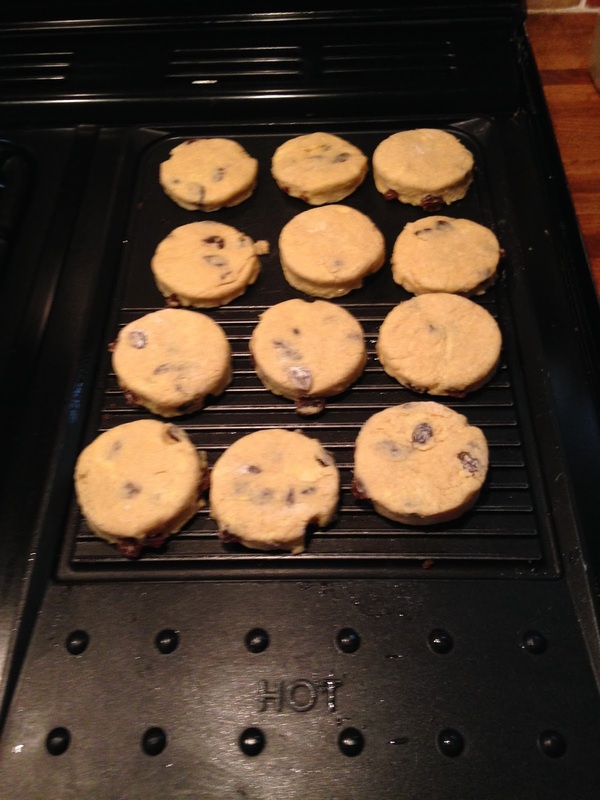 Cook the Welsh cakes in batches, for about 3 minutes on each side, until they have browned and are cooked through. Welsh Cakes are usually served sprinkled with caster sugar, but you can butter them, put jam on - the choice is yours.